Send a donor thank you letter automatically after each online donation without losing the personal touch. Donors love to be thanked and love when it feels sincere. But how can you provide a personal touch to hundreds of donors? One word: automation. Yes, it’s not quite as personal as physically handwriting every donor thank you letter, but it’s better than no thank you letter at all. This tutorial will walk you through how to automatically mail physical donor thank you letters with Give, the Zapier add-on, and a special service called Handwrytten. 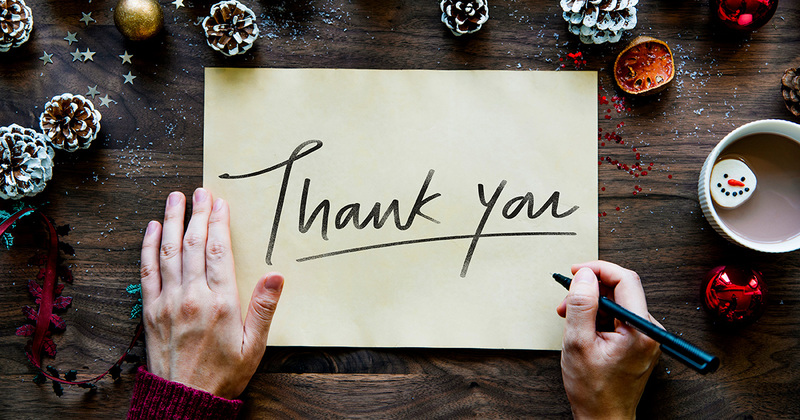 The donor thank you letter is an essential piece of building the relationship with your donors that has long-term benefits. When a donor gives their energy, time, and money to donate, your top priority should be to make them feel like the decision was a good one. Nothing communicates more value than a handwritten donor thank you letter. Did you know that you have up to one year to send all the thank you notes for your wedding gifts, according to generally-accepted wedding etiquette? Is anyone excited to get a “Thanks for the dish towels” card 11 months after the fact? Does it communicate anything other than procrastination? If you want donors to feel valued, you do not have a year to send your donor thank you letter. You need it to land before they’ve forgotten the gift! The Give plugin installed on your WordPress site. The Zapier add-on (included in all of our bundles). A paid Zapier account — the free version doesn’t have the features we need, but it’s worth it. An account with Handwrytten. One important note is that you need to sign up with an email and password (not Google or Facebook) so that Zapier can connect to it. If you’re familiar with Zapier, then you’re already familiar with this process. Zapier is a great way to automate actions with other online services based on donor activity on your Give-powered website. Check out our other Give + Zapier tutorials for more exciting things to automate. 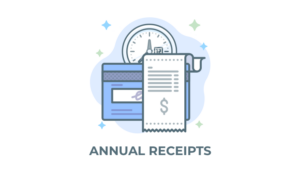 In addition to sending handwritten notes, you can also connect Give to pretty much anything on Zapier or learn how to recover pending donations. For our purposes, the magic happens like this: when your donor donates, Give sends the relevant data to Zapier and Zapier processes that data in a way that will make sense to Handwrytten. Once Handwrytten receives the correct information, it sends out your donor thank you letters without you batting an eye. 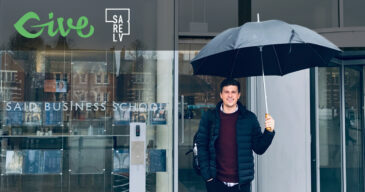 When creating the account, due to how you’ll later be connecting it to Zapier, be sure to use an email/password method of creating the account. Once you’ve created the account, you’ll need to enter a credit card into the billing settings section of your account. It’s not possible to finish the zap setup without a card saved in your Handwrytten account. For this step, follow our documentation to make the connection between your Give-powered site and Zapier using our Zapier add-on. Here’s a video walking through how to set up the Zap. A text explanation follows the video. The Zap has a trigger, a filter, a delay action, and then the Handwrytten.com integration. 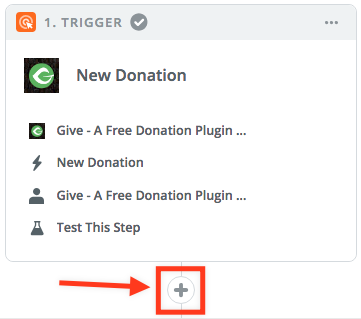 For the trigger app, select Give’s “New Donation” trigger. The way Give returns data on the “New Donor” trigger is not compatible with the way Handwrytten’s Zapier integration will need the data. Click the plus icon to add a new step. After configuring a step, click the plus icon to add a new step. What you’re doing here is telling Zapier to only continue on to the next step if certain conditions are met. There is great power here to be able to select very specific things that need to be true in order to send donors a card, so get creative. Don’t forget that you can create multiple zaps, too! For the purpose of this tutorial, let’s make sure two things are true before continuing. First, make sure that the donation amount is above a certain level. Second, make sure that the donor address is in the United States. The reason you want to make sure the donation is above a certain amount is that the Handwrytten process we are outlining costs between $3 and $5 at the time of writing this. If you don’t restrict the amount that triggers a card, you could be sending a $3 card to thank a donor for a $2 donation. The second restriction is that it appears at the time of writing this that the Zapier integration for handwrytten.com does not pull in the country directly from the donor address, and instead pre-fills it as United States. That’s not a huge deal for organizations whose donors are in the US, but could present problems for others. In this tutorial, I’ve shown two different methods of working around this issue. This is the first: restrict the process from completing at all unless the donor is from the US. More on the second method in the next step. Now that we’ve prevented the process from completing unless those two conditions are met, the next step is to put in a delay. Click the plus icon again and select “Delay” and then set the delay you would like. This step is to prevent cards from sending too quickly and betraying the automation step with a too-quick turnaround. Now for the best step, the actual integration with handwrytten. In the search bar for all action apps, search for ‘handwrytten’ and select it from the list. On the next page you’ll have an opportunity to connect to your handwrytten account. 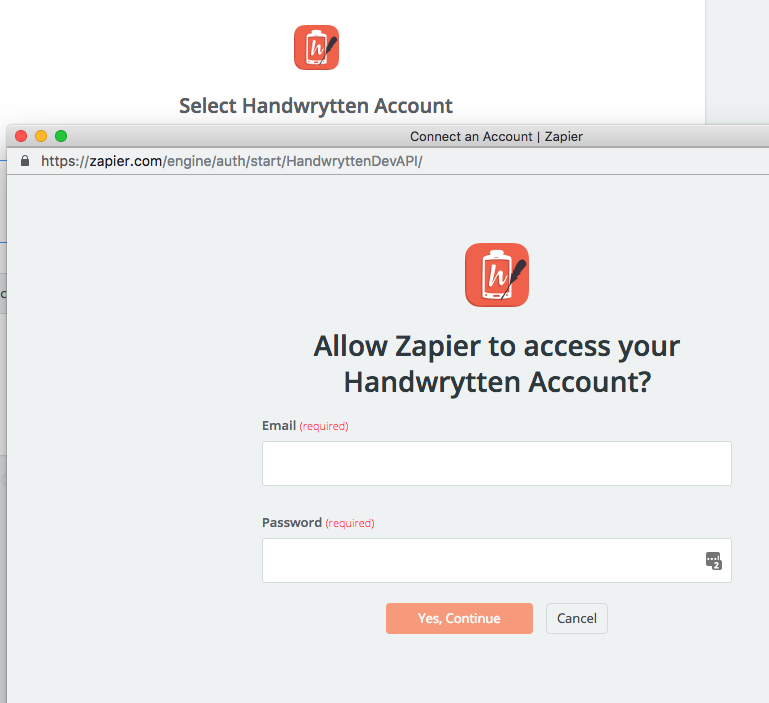 To connect your handwrytten.com account to Zapier, enter your credentials into the modal window that pops up. Once you make the connection, you can test it and move on to setting up the template. On the template page, enter the sender’s information (your organization is the sender) as well as the recipient’s. The recipient data can be taken from the dropdown information pulled in from step 1. Simple is better than complicated here. Pick the handwrytten card and “wryting style” from a separate window so that you can see them! The recipient address (in our tests) appears to be restricted to the US, but there is a potential workaround of selecting “Enter custom data” and then selecting the country from the step one data. You should either use this workaround or the filter method mentioned previously, but not both. The final two options allow for you to opt to send a gift card to donors (optionally), and then to select the billing card to use (pulled in from the payment methods added to your handwrytten.com account). Once all of the data is set up, the next page allows you to test the step. Be aware that testing the step will use real money and send a real card, so if the data pulled in during step one is not a real donor or real address you should not test. Once the Zap is set up and active, you can test it by submitting test donations on the site. Again, keep in mind that your tests here will cost real money and send a real card to the donor address. However, it’s important to test at least once so that you know what experience your donors are getting. The Zapier add-on for Give, included in all of our Give bundles, allows this all to happen. You can send a personalized handwritten donor thank you letter to your donors easily. Buy a bundle today.